TSF believes that an engagement with languages outside the traditional classroom environment is key to a lifelong love of language learning. Our work aims to inspire and entertain with productions exploiting the company's gift for imaginative and visually-driven storytelling. 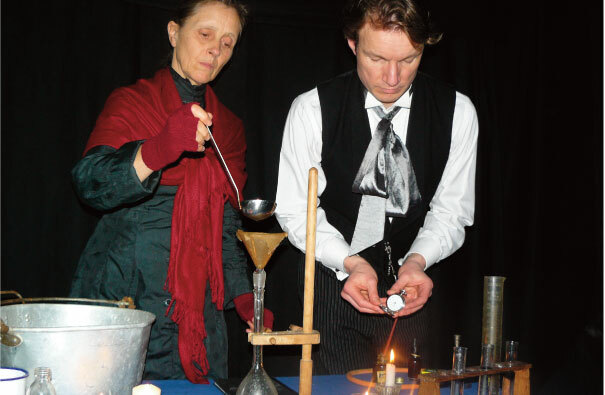 Many of our shows which tour to venues can also be performed in schools with full theatre facilities. We also work directly with schools on creative learning projects that complement current teaching methods. These projects offer primary and secondary practitioners the opportunity to deliver language learning in an inspiring and engaging way and through meaningful contexts. If you would like to discuss any of these projects further, please contact Sarah Kemp on 01434 603114 or email sarah@tsf.org.uk. You can download a leaflet about our work with young people below. Please also see the Projects section of the website for more exciting ways to deliver language learning.